With over 20 years of mortgage industry experience, Jeff knows what it takes to provide top-notch customer service for each of his clients and truly believes in forming lasting relationships with his customers. Jeff started out in mortgage banking in 1993 and has passionately helped over 5,000 families with their home financing needs. Drawing from his extensive knowledge and experience, Jeff will happily assist you and your family in evaluating the many financing options available in today’s mortgage market. Jeff is especially well versed in optimizing options for first-time homebuyers and creative financing options. Amongst his friends, family, and customers, Jeff is known for his friendly demeanor, excellent customer service, and his skill for making the home buying process as seamless as possible. 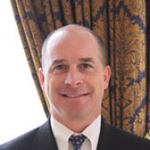 Jeff graduated from Hampden-Sydney College in 1988 with a Bachelor’s Degree of Arts in Economics. Outside the office, Jeff can be found coaching or watching his children Lauren (24), Kevin (22), and Megan (18) play many different sports. Jeff enjoys the outdoors and staying in shape by running, snowboarding, and playing lacrosse in several leagues. He is a member of the Greater Baltimore Chapter of the Lacrosse Hall of Fame, Hampden-Sydney College’s hall of fame, and a member of the World Champion US National Lacrosse team in 1990. Currently, Jeff lives in Hunt Valley, Maryland with his wife of over 24 years, Maria, and his Yellow Lab, Josie. Please contact Jeff with any questions or concerns as he will be happy to help. Send me a message below or give me a call at 443-652-4101.